Today the world saw the first-ever photograph of a black hole. This particular black hole, which is more than six billion times as massive as our sun, lives at the center of M87, a supermassive galaxy 55-million light years away. The photograph’s an astonishing achievement, particularly when you consider black holes were still entirely theoretical less than fifty years ago. The back story to the picture represents the apex of what human beings are capable of when they mindmeld on a global scale. Consider what it took to produce this image: first, a network of eight radio observatories on four continents all pointed at M87, effectively converting our entire planet into a gargantuan camera lens. Next there’s generating, collecting, processing, and marrying up the many petabytes of data collected by the telescopes. Not to mention the teams of scientists, engineers, code-slingers, project leaders, laborers, and many others it took to conceive, build, and manage the whole operation. Now factor in all the related efforts to image deep-space phenomena, going all the way back to Galileo. 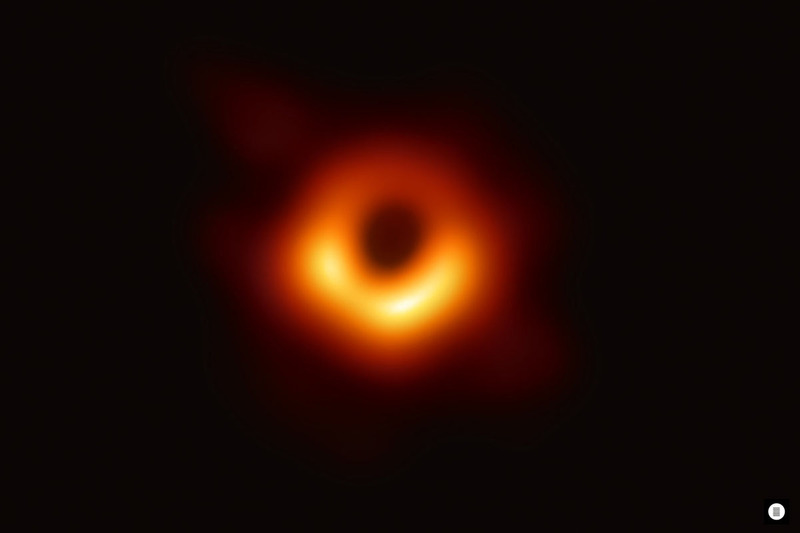 I estimate the cumulative cost of creating this black hole photograph is well in excess of a trillion dollars. As far as I’m concerned, it’s one of the best investments we’ve ever made.